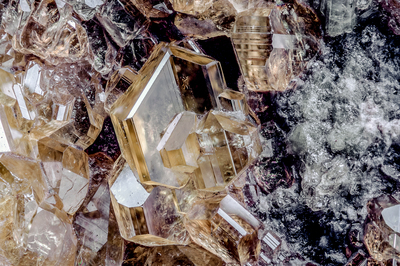 A mineral of the humite group as transparent crystals with some parts colored reddish brown, others yellow. In the center, an evident twin. Collection and photo of Gianfranco Ciccolini. Nikon D750, bellows, Luminar 40 mm.